Illustration from the draft of the new zoning code with specifications for building height and set-backs. Mural Project – Michelle began by thanking everyone for their support for the mural project. She stated that it should be completed in the next couple of weeks. She noted that the species in the mural are available on a worksheet. Belmont Hills Library – She also informed the group that the Belmont Hills Library has now reopened after renovations. She encouraged everyone to check out the resources at the library. Host for Hospitals – She also informed the group of a charitable opportunity with the program Host for Hospitals. This organization provides a partnership between families of patients in local hospitals and volunteer host families who are willing to provide temporary shelter for those with a loved one in the hospital or receiving medical care. This organization and its purpose will be the topic of the Jan 10 PVCA meeting. Michelle then introduced the speaker for the evening, Christopher Leswing. He is the Director of Building and Planning for the Lower Merion Township. The topic for the evening is the draft of the new zoning code. History – He began by giving a brief history of how the Township zoning code came to be. He talked about Lower Merion being one of the first towns in the country to have a zoning code. The original code is almost a hundred years old and was written during a time when the Township was still in its infancy to address the building up of the town. The code was amended over time to address new construction. New Draft Code – The Township is now rewriting the code with the goal of preserving open spaces and revitalizing commercial areas and the new draft zoning code is available for review. After a series of review meetings with any revisions, the goal is to adopt the code by July 31, 2019. Residential Homes – The zoning rules do not address existing residential homes. It only addresses new construction. The zoning rules will dial back subdividing properties. It also lowers the maximum height to two and a half stories. It addresses having a peaked roof and the setback of the neighborhood. For three districts – Bala Cynwyd, Ardmore, and Merion there is a neighborhood conservation district to address maintaining the characteristic look of the neighborhoods. It does not currently address materials in the architectural standards. Institutions – Institutions include buildings like schools, churches, and synagogues in our neighborhoods. In the old code, institutions were treated the same as residences for zoning purposes. The new code carves them out and gives them a different designation. It creates a border for those institutions, allowing them to grow without gobbling up the residential homes around them. There was concern from a member that there was not enough distinction in the new code between zoning for elementary schools verus larger institutions such colleges. Chris said that the two would be treated equally. Commercial – For Penn Valley, this mainly affects the businesses located on Montgomery Avenue. The goal is to create, over time, a walkable business zone with fewer curb cutouts, and places for outdoor dining. Zoning rules regarding setbacks and providing a green buffer (20 feet) with the residential areas will be put into place. In addition, buildings can be no higher than three stories, with the maximum height dimensions for a story defined. Parking lots currently zoned residential will be zoned commercial under the new code. Building height limitations will be adjusted lower toward the rear of lots. Again, these changes only affect new construction in the areas zoned commercial. This zoning rule does not address the traffic, lane changes, or other modifications to Montgomery Avenue. Converting Montgomery Ave to a 3-lane configuration is a long term goal to help move traffic. The recent 3-lane configuration on Presidential Ave. in the Township is a model showing that it can work. The model allows for more on-street parking, a turning lane (desperately needed on Montgomery as expressed by residents) and a constant flow of traffic in the remaining lanes. A master plan is also needed to help address the need for a municipal lot that can be shared by businesses (in addition to other needed improvements). City Ave is the Township’s first priority for a master plan. Penn Valley might follow. County coordination will be needed, and the Township will be working with Narberth to make sure that there is cohesion between both sides of Montgomery Avenue. A draft of the new zoning code can be found here. Ten important things to know about the new code can be found here. As this zoning code is still in its draft form it does not affect any current construction or any construction taking place prior to adoption. Notify Chris Leswing at his email address if you have any comments or questions about the draft code. Chris’s contact information can be found at http://www.lowermerion.org/Home/Components/StaffDirectory/StaffDirectory/36/72. 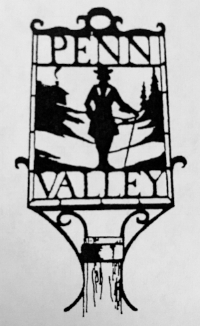 You can also cc: the Penn Valley Civic Association email address pennvalleycivic@gmail.com so that we can accumulate the responses for our group. You also can attend the public meetings for comment. The meeting was adjourned. Michelle thanked Chris Leswing and everybody who came to participate.